The annual hearing is conducted jointly by the House and Senate Veterans' Affairs committees and showcases the top legislative agendas of the nation's leading veterans service organizations. According to Mitchell, "this has become a critical issue for AMVETS this year and we plan to take every opportunity to advocate for of veterans suffering from the effect of all forms of toxic exposure." Mitchell's organization is backing up those words with actions. Yesterday, USA Today reported that, "AMVETS members [will] reach out to every Congress member this week to talk about environmental toxins like those the 1991 Gulf War veterans were exposed to." In his published testimony, Mitchell praised the fact that, "science is finally making significant progress toward understanding Gulf War Illness and identifying recommended treatments," attributing that progress to two Congressionally created organizations, the Research Advisory Committee on Gulf War Veterans’ Illnesses and the Gulf War Illness Congressionally Directed Medical Research Program (CDMRP). Mitchell said AMVETS supports continued funding of the Gulf War Illness CDMRP at a minimum at last year's $20 million funding level, and emphasized that, "legislation is urgently needed to assert appropriate Congressional authority over Gulf War Illness research and enable scientific progress to continue," including, "legislation to restore the oversight component and independence of the Research Advisory Committee on Gulf War Veterans’ Illnesses." National and international media have published numerous news stories over the last year headlining VA's moves to curtail the committee's independence. Among the AMVETS proposals included in Mitchell's testimony to restore the committee's oversight and independence is to have its members appointed by Congress rather than VA.
Mitchell also said AMVETS is calling for legislation to require VA to, "properly conduct Institute of Medicine Gulf War [IOM] studies previously ordered by Congress." According to the Mitchell's AMVETS testimony, these statutorily mandated IOM studies, "have not been conducted in strict accordance with Congress’s direction, or in some cases, have not been conducted at all, which may suggest some level of effort to manipulate research by government employees. Importantly, these studies relate to the health of veterans from the wars in Iraq and Afghanistan, as well as Gulf War veterans." In June 2012, the Research Advisory Committee issued a report that included details of VA's failure to contract with the IOM for a statutorily mandated study on the prevalence of Multiple Sclerosis (MS) in veterans of the 1991 Gulf War and the wars in Iraq and Afghanistan. The Committee report's unanimous finding of "no confidence" in VA's ability to research Gulf War Illness treatments was followed by dramatic VA changes to the committee's charter, mission, and a changeover in all but one of its members that will be completed by the end of this summer, moves that Committee members called retaliatory and retribution for "doing [their] jobs" for ill Gulf War veterans. AMVETS is one of the "Big 6" veterans service organizations and the fourth largest of the 46 Congressionally chartered and many dozens of other U.S. veterans service organization, after the American Legion, VFW, and DAV. Information on membership is available from the AMVETS Membership department. 1. Toxic Wounds/Gulf War Illness – this has become a critical issue for AMVETS this year and we plan to take every opportunity to advocate for of veterans suffering from the effect of all forms of toxic exposure. Because of its high importance, we will briefly focus on this often overlooked issue. 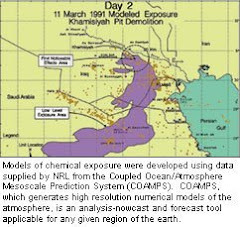 After many years, science is finally making significant progress toward understanding Gulf War Illness and identifying recommended treatments. 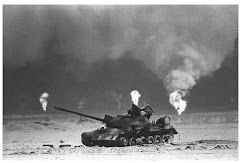 Research has shown that Gulf War illness: is associated with service in the 1991 war; that it affects at least 175,000 veterans; and that it is physiologic, rather than a psychiatric condition caused by toxic exposures. This progress has been achieved largely through the work of two organizations created by Congress, the Gulf War Illness research program of the DoD Congressionally Directed Medical Research Programs (CDMRP) and the VA Research Advisory Committee on Gulf War Veterans' Illnesses. AMVETS supports continued funding of the CDMRP Gulf War illness research program, minimally, at last year’s level of $20 million. We also support legislation to restore the oversight component and independence of the Research Advisory Committee on Gulf War Veterans’ Illnesses. require VA to properly conduct Institute of Medicine Gulf War studies previously ordered by Congress. The studies have not been conducted in strict accordance with Congress’s direction, or in some cases, have not been conducted at all, which may suggest some level of effort to manipulate research by government employees. Importantly, these studies relate to the health of veterans from the wars in Iraq and Afghanistan, as well as Gulf War veterans. Finally, AMVETS fully supports passage of legislation such as S 1602, Toxic Exposure Research and Military Family Support Act of 2013 and HR2510, Helping Veterans Exposed to Toxic Chemicals Act. SOURCE: "AMVETS - 2014 Legislative Priorities", taken from "AMVETS 2014 Commander's Testimony/Legislative Priorities", p. 1; testimony of AMVETS National Commander John H. Mitchell, Jr., delivered at a March 6, 2014 joint Congressional hearing entitled, "Joint House and Senate Veterans' Affairs Committees to receive Legislative Presentations of Multiple VSOs". Testimony submitted by Diane Zumatto, AMVETS, National Legislative Director. Hearing record located online at: http://veterans.house.gov/hearing/joint-house-and-senate-veterans-affairs-committee-hearing-legislative-presentations-of . Testimony archived online, 3/6/2014, at http://www.scribd.com/doc/211072531/AMVETS-Commander-s-Testimony-on-2014-AMVETS-Legislative-Priorities-Mar-6-2014 .